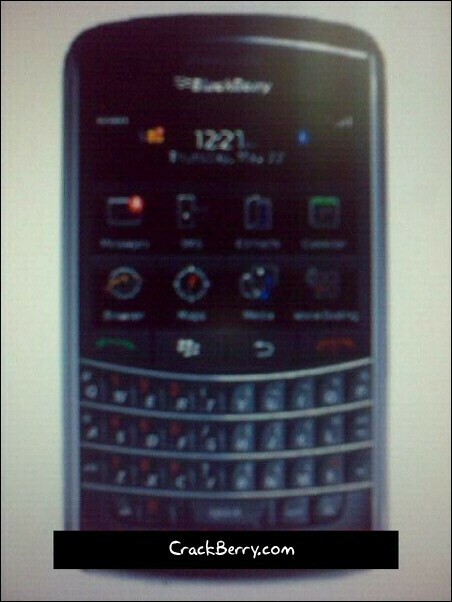 Is this the BlackBerry 9900 touchscreen version of the Bold? 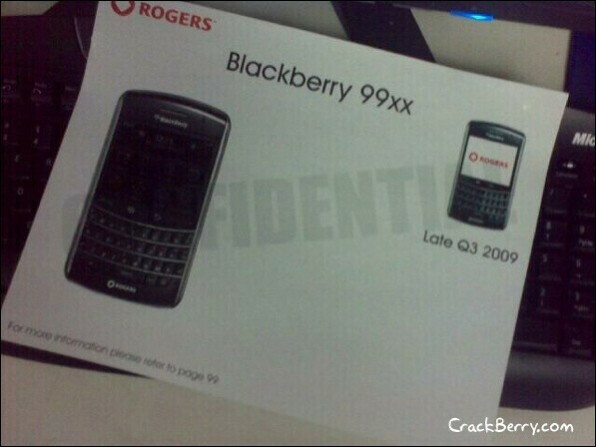 Over at CrackBerry, they have pictures of what they believe is the new BlackBerry 9900 touchscreen handset expected to reach Rogers in the third quarter of this year. The "Pluto 9900" is a Bold-like looking device (pun intended) with touchscreen, like the Storm. It will have 3G connectivity and have the same processor that runs the Bold. Still, it is unsure if the touchscreen is clickable, using the SurePress technology found on the Storm, which attracted lots of criticism but also won an award at the MWC 2009 show. There has been a big question mark raised about the authenticity of the pictures. BGR says that in the first round of pictures shown by CrackBerry, what appears to be the mic hole from an 8800 is showing below the keyboard while it is missing on a newer photograph. Even with this discrepancy, CrackBerry stands by their source. What do you think, is this the new BlackBerry? I dunno it could very well be either, it could work. I think they would be better off making a slide-out keyboard touchscreen along the lines of the touch pro. Honestly looks like they put the storms screen on a bold. Hence the reason its so blurry................looks fake to me.